These cute and comfy Star Wars porg slippers are available at Hot Topic. Made from 100% acrylic, the knit slippers are lined with fluffy brown faux fur and feature a porg on the toes as part of the knitted pattern. The sock-style slippers also have non-slip dots on the soles. 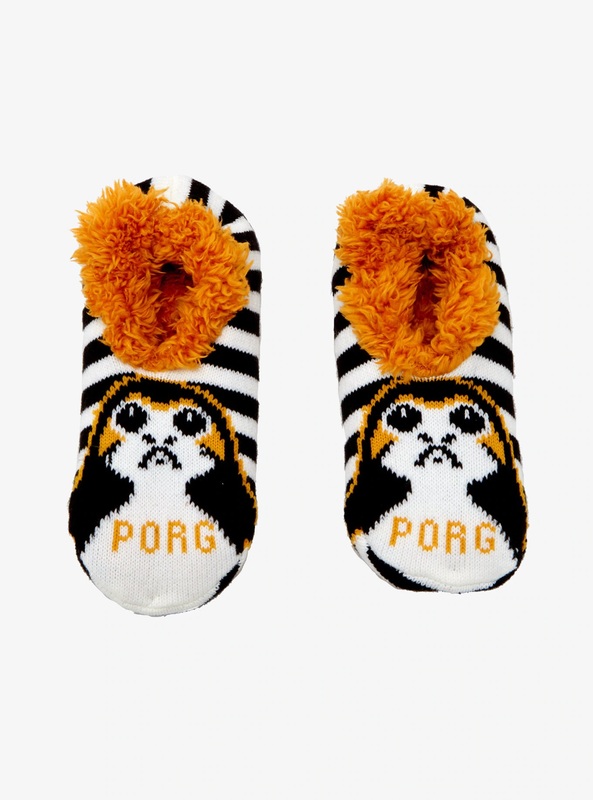 A cozy pair of Star Wars themed slippers celebrate The Last Jedi with plush interior lining and a cross-stitch style Porg portrait on each toe. 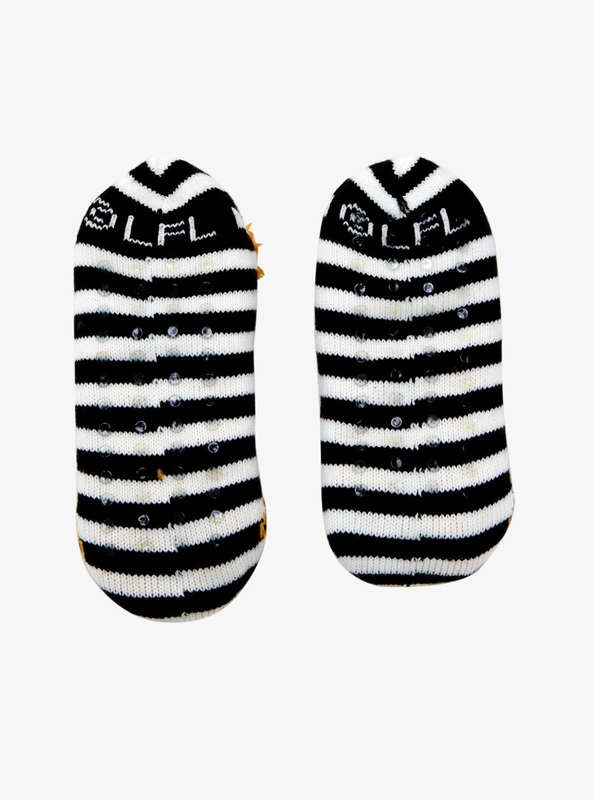 Black and white striped background and no-slip grip on the sole. Available in one size, the slippers are priced at US$14.90 per pair – Hot Topic can ship internationally.